Stamps.com Package Insurance will save you money and time on your international USPS® shipments. We’ve taken all the features and benefits of our domestic insurance and added them to our international coverage. That means you’re guaranteed insurance discounts up to 40%, top-rated coverage up to $10,000, and hassle-free, fast claims every time you ship internationally. If you’re not getting all of these features and benefits with the insurance you use now, it’s time to insure with Stamps.com. With the Stamps.com Professional Shipper Plan, you can get up to 40% off USPS insurance rates on most mail classes. Plus, all Stamps.com customers are guaranteed 10% off USPS insurance rates for First Class Package International Service and Priority Mail International® shipments. In fact, in just over a month, the amount you save can cover your Stamps.com monthly service fees. Stamps.com insures international shipments up to $10,000 in coverage, unlike other insurance providers who minimize their coverage to as low as $500. No more splitting up shipments for full coverage. No more assuming liability for packages over $500. Stamps.com has you covered. While the USPS doesn’t insure First Class Package International Service, Stamps.com does. In fact, we insure all USPS mail classes. With Stamps.com, you can insure packages to countries not covered by USPS insurance, such as North Korea and Equatorial Guinea, to name a few. Stamps.com lets you insure your overseas packages with just a few clicks. Using our software, you simply enter the value of the shipment and the costs are automatically calculated and applied to your account. Insurance claims are submitted and processed right through the Stamps.com software. All claims are processed within 7–10 business days. 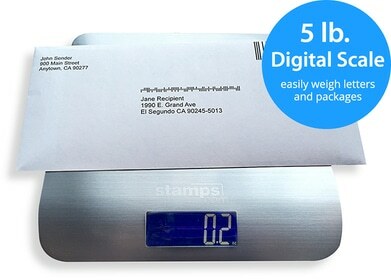 Nearly 732,000 customers trust Stamps.com with their shipments. Stamps.com Package Insurance is underwritten by Parcel Insurance Plan® and Fireman’s Fund℠—rated “A” Excellent by A.M. Best.